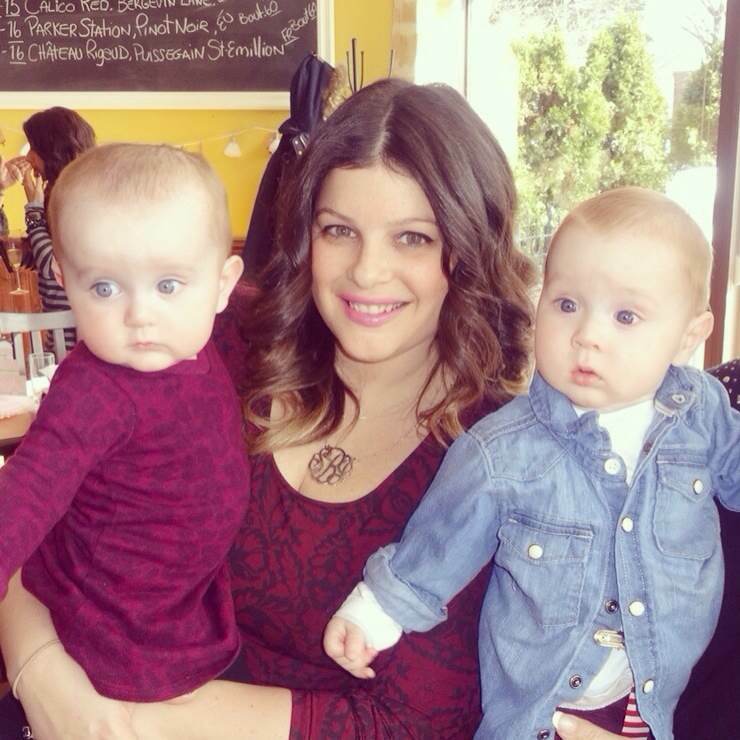 Creative Marketing Manager turned CEO of mommy-land, reporting to twins! As a little girl, I always loved surprises… When I found out I was pregnant, I was overjoyed like anyone who wanted to become a mom would be. Then I found out it was TWINS! Talk about a surprise. Last summer, I was lucky enough to be blessed with Girl/Boy twins named Ronnie Parker and Prosper Jacob. Now, they are 8 months old and always full of surprises. Having a baby (or in my case 2) was not a handicap, it was a blessing. What helped me the most with learning how to survive my new life with twins was always believing that I could do ANYTHING a mom with one baby could do…by myself! No task was too big or too difficult, it just required a little planning. I have recently discovered that being a mom is the hardest job in the world. The hours are long and the rewards (although amazing) are few and far between. I am inspired by all woman who are full time stay at home moms. They work tirelessly to make sure they don’t miss a minute of their child/children’s lives. Always making sure they are healthy, happy and loved. Not to take anything away from moms that have to work as I know not everyone has the luxury of staying home but for those who choose motherhood as a full time job, your sacrifices and dedication inspire me. Always be prepared… Sounds like the Boy Scout motto but it’s truth. Being organized and prepared for almost anything gives me sanity and the ability to do anything I would have done in my pre-mom life. Being able to decide to go to the mall or meet someone for lunch or take the babies for a walk on a whim gives me sanity. Having my diaper bag packed and repacked at all times, loading up on feeding supplies, snacks and toys and keeping my babies smiling so we can get up and go gives me some sanity (as much sanity as a mom of twins can have). Best advice I ever got (and trust me, I got a lot of advice) is “Do what works for YOU!” And don’t be fooled by “they”… They say don’t lay them like this…. They say don’t use that …They, they, they… Who are they??? My wow moment … Probably the moment when I accomplish something new with my twins. The first time I tackled the grocery store, walking around with two buckets in my wagon and groceries stuck anywhere they could fit. Or the first time I casually strolled into the bank with two buckets on my arms and a diaper bag around my neck, just to pay a bill on time. Doing things that ‘normal’ mommies can do is wow to me. My not so wow moments probably happen late at night in my nursery. When the babies are crying in symphony and I realize that I am only able to sooth one at a time. When one wakes the other just as I am getting them back to sleep, when I feel like a failure and have a good cry with my babies…when I realize that I am human and not a superhero. That is probably my not so wow moment. Finding time to do something for myself. Simple pleasures like painting my nails or blow drying my hair and putting on makeup everyday (even if we are just staying home) is how I keep it wow. Making sure to stay in contact with my friends, take up anyone’s offer to help out, remembering to focus on my husband too and always telling myself that I am the luckiest girl in the world. By far the morning time with my babies. When I go to get them from their cribs and they are all smiles, looking at me like I am the only person in the world that matters. Balance is all about priorities. My priorities are my babies and not myself so in my world the balance is a little off but I believe that it will eventually even out. The first year goes so fast that I don’t want to miss a minute. I have the rest of my life to do things for me but only one year to witness their growth and watch as their individuality and personalities develop. I am very lucky to have a strong support system in place. My husband is a hands on dad and with dozens of bottles, dirty diapers and double babies it’s a huge help. My grandmother practically moved in when the twins were born and my aunt treats my kids as if they were her own. My mother and sister both live in Chicago and have both been able to spend time her every month with the babies. Our family is my guardian angel. If I could give a message for my kids I would want them to know how important it is to experience love. Love people, love places, love things and to know how much they are loved. This year has been my most challenging one so far and there were times that I can honestly say that I didn’t like my twins but I always loved them. I know that seems harsh but all you moms out there know what I am talking about. I get through the rough times remembering how deeply I love and I celebrate the good times knowing how good it feels to be in love. There are many hopes and desires I have for my twins as they grow but far more then being rich and successful I want them to love and to be loved. 1. My double feeding chair because life is better when twins eat together! I wouldn’t have survived feeding time on my own without it. 2. Fairview shopping mall. Because where else do you go to get out of the house and walk around with your babies in the winter time. ***Warning this can sometimes be a costly outing so I try to limit it to 3x a week max LOL..
3. Makeup makes all the difference! Right now I am all about a great bronzer (MAC) , blush (NARS “Mata Hari”) and liquid eyeliner (STILA “stay all day” liquid liner). 4. Petit Lem pajamas! Kids need to change so many times a day and I obviously want them looking cute even when it’s just for bed! That’s why I love petit lem’s stuff so much! 5. The Giggle-Bellies! Never heard of them? Well, I listen to them on repeat. Life changing YouTube videos of your little ones fave songs like The Wheels on the Bus and Old Macdonald’s Farm. Perfectly used to distract my babies till bottles are warmed or when cranky in the car. 6. A PVR is the best invention since sliced bread. Since I no longer have time to watch my fave TV shows when they are on or since I am usually to tired to make it to prime time this allows me to record everything and when the babies finally fall asleep or go down for what I hope is ” the night” I can quietly revel in my favourite shows and best part…. I can skip the commercials! 7. My Bugaboo Donkey Twin Stroller. Because twins aren’t enough of a conversation starter the stroller certainly calls for attention. Making it easy for me to take my kids pretty much anywhere. It’s like the Mercedes Benz of strollers. Sometimes I wish I could climb in and have someone wheel me around. 8. The Fisher Price snuggle bunny cradle n’ swing AKA the baby sleep machine. This was the best toy I ever got. Too bad the babies eventually outgrow it. Both my twins would sleep in this swing so peacefully. A must for any new mom to be :)!